You may have heard of ZerLemon but if you haven't, they make absurdly large battery cases for the top smartphones out there. And they just added the Galaxy S8, Galaxy S8+ and LG G6 to their list of supported devices. The cases bring different battery gains. The Galaxy S8 can get either 5,500mAh (120% extra battery) or 8,500mAh (195%), while the S8+ options are 6,300mAh (125%) and 8,500mAh (170%). The LG G6 gets an 8,000mAh case (that's around 170% more battery right there). And ZeroLemon has an active discount on both its website and on Amazon. 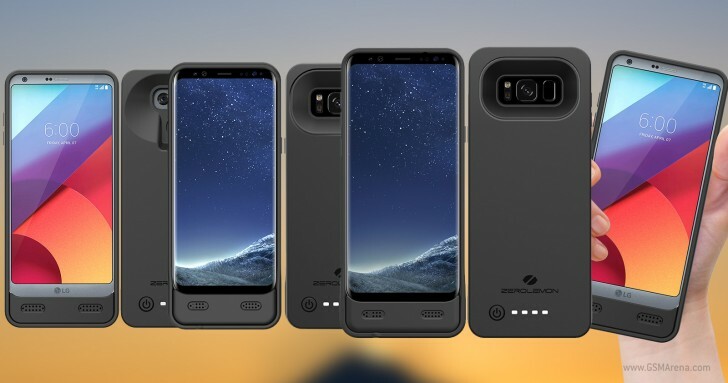 There are other accessory makers that sell battery cases for the popular trio, but if ultimate capacity is what you are after and you don't mind a lot of extra bulk, you might want to check these ones. I like that Zerolemon still provides a large battery case, but I am sure there are plenty of other ways to redistribute the heft rather than making an already super-tall smartphone even taller!